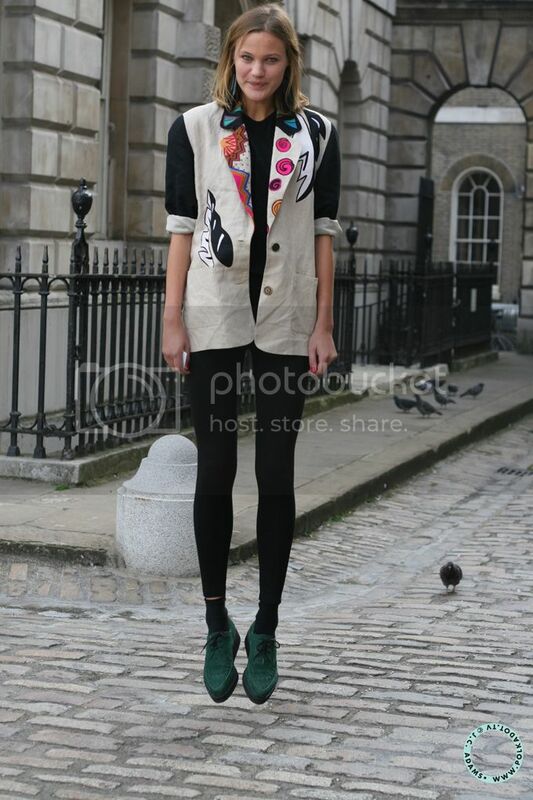 LFW Day Two: the delightfully effervescent Ingrid, of Anywho, defying gravity. how did she do that? she was able to jump so perfectly, and keep a straight beautiful face. She doesn't jump. She flies. See her wings ? Woah. Love her style so damn much. I know! She literally defies gravity. And she's so nice. This shot is insanely amazing!